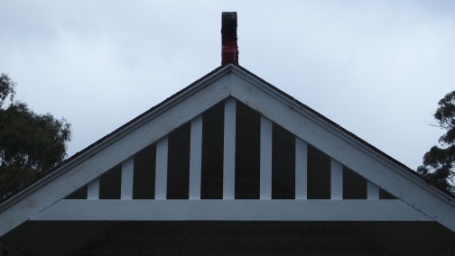 The two chalets were rescued over twenty years ago by forward thinking conservation architects when the Salvation Army took ownership from the Crown of the land they stood on. They were temporarily relocated adjacent to Karingal while a decision was made about their longer term future. 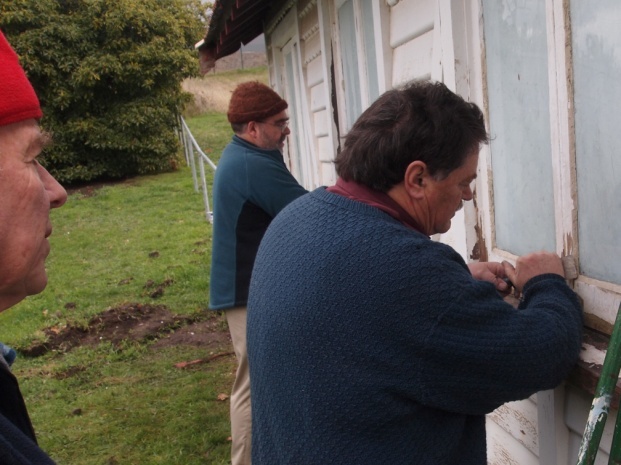 Concern by The Friends of the Orphan Schools about their continuing degradation led to an onsite inspection with Heritage Tasmania in late 2011. 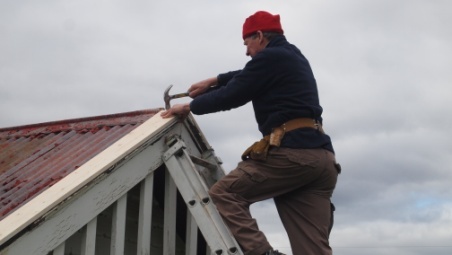 Robert Vincent, who is both a conservation architect and a long-time supporter of the Friends, developed a conservation plan which was approved by Heritage Tasmania. A copy of the report is available here. 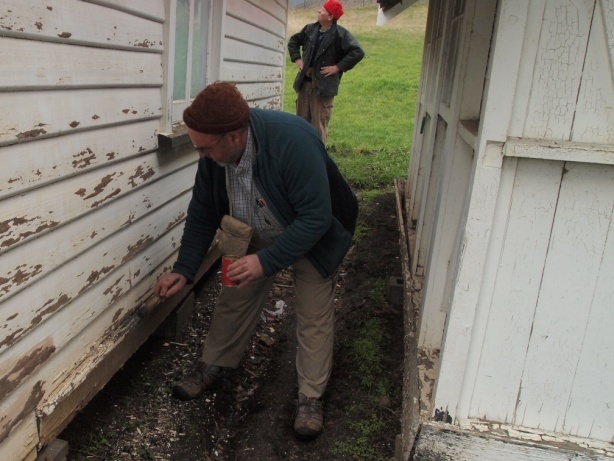 The Friends noted the urgency of preventing further water damage and allocated $1,000 of its scarce resources to immediate conservation activities. Committee member Simon Cocker agreed to take on management of the project and these pages record the exciting progress of the project. 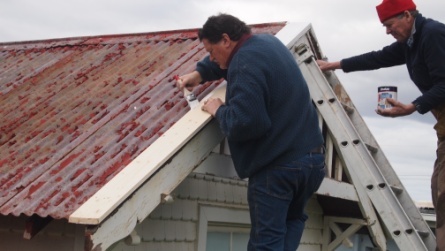 A heritage report for conservation and maintenance has been written by Robert Vincent and advice received from Heritage Tasmania that the plan is exempt from requiring further approvals. 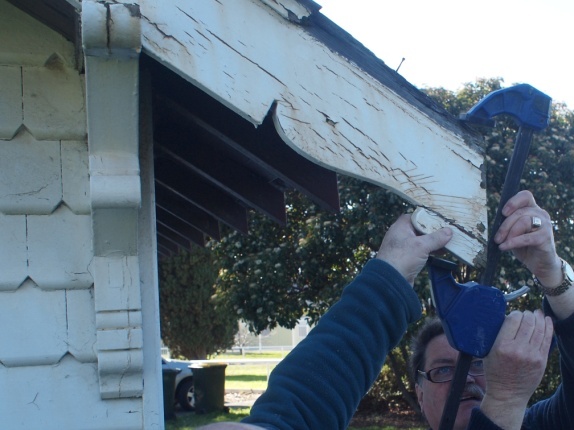 Expert advice and management to come from Robert and Brian Webberley. The plan has been discussed with the Department of Health and Human Services and approval to proceed given. A subsequent discussion established further cooperation and assistance from DH&HS. Simon Cocker appointed by Committee to manage project for Committee who approved up to $1000 for the project. Approval given by DH&HS to run power from Karingal if access is available. Team welcome to use storage facilities on site. Members were emailed and invited to join working bees. 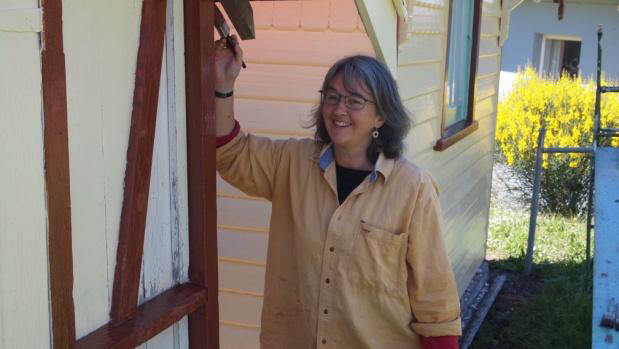 Next member newsletter to include detailed information on history of huts and project. The work will be conducted by working bees 10.00am to 12.00pm on Sunday mornings. This web page records the progress of our volunteers. 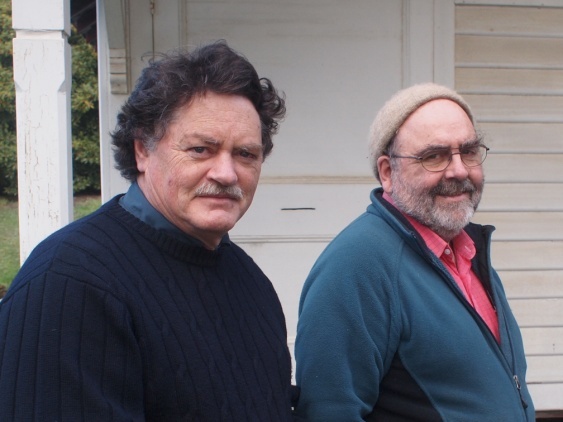 Robert Vincent, Brian Webberley, Simon Cocker. Discussed plans and determined priorities. 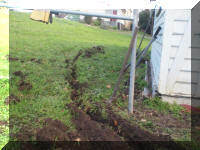 Dug out soil from around the wooden base and dug trenches to run rain water way from the chalets. 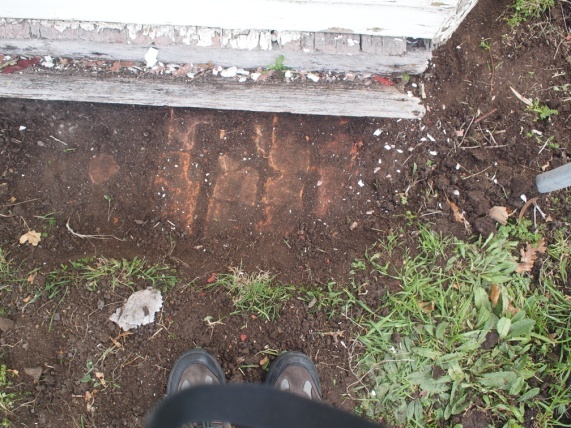 Brick paving discovered running under Alan Rogers Chalet. 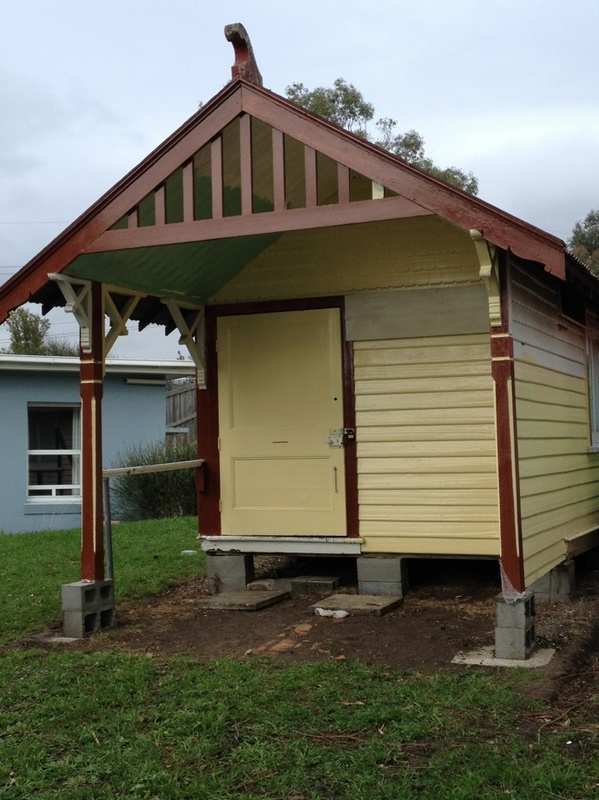 Preparation and undercoating of Rechabite Chalet. Laying out of markers for the foundations. 450mm holes to be filled with concrete with stirrups for supporting beams to be laid across. 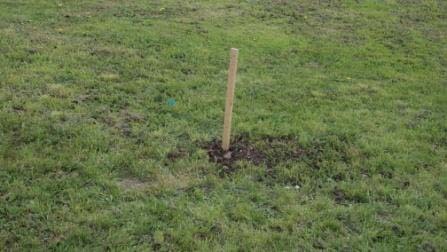 10 posts for the chalet and 8 for the hut. 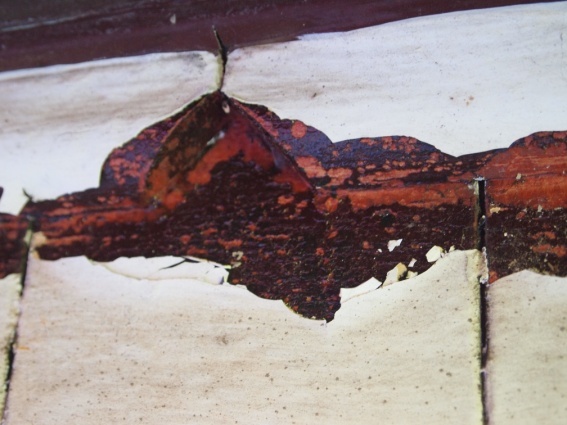 Removed degraded putty from windows. Repaired damaged wooden fancy work. removing blocks, inserting 60x60 concrete pavers replacing blocks and thus providing more solid base and straightening bowed wall. Pavers donated by Robert Vincent, portable power supply loaned by Bob Gordon. Robert Vincent, Brian Webberley, Simon Cocker with new volunteer Kerry Brehens. Installed and painted the flashing boards on the roof of the Chalet. Measured up for the filial to be repaired. 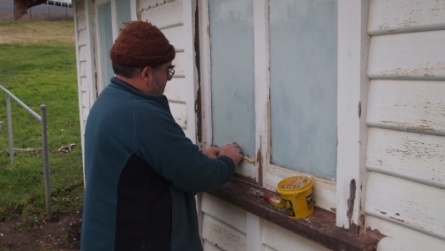 Continued with sanding and scraping of external walls, oiled some dry wood, re-puttied the windows. 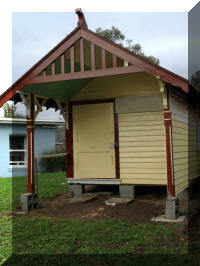 Working Bee 5 - Thursday 23 August . 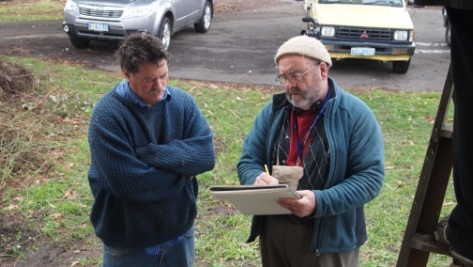 A bonus, a work experience team from Hobart College with teacher Peter Hicks. Did four hours work supervised by Robert. 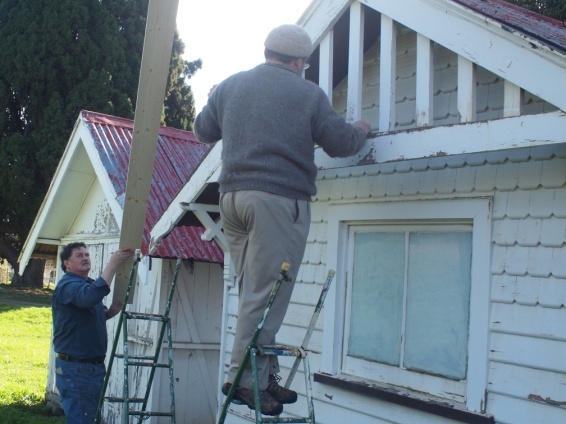 They scraped and sanded and achieved a great deal mainly on the chalet. Pruned back the brambles and bush in front of the chalet. Replaced and painted rear filial. Considered further plans for relocation. 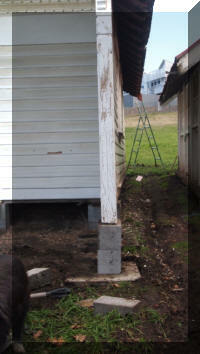 Work proceeds on the two chalets. 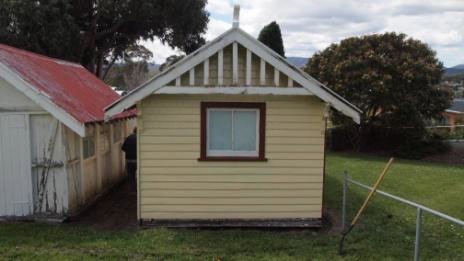 We now have undercoat on half of the Alan Rogers Chalet and some final coat on parts of the front so people can view the intend colour scheme that has been derived from paint scraps and photographic indications. There is more to be done of course. More help would be good. 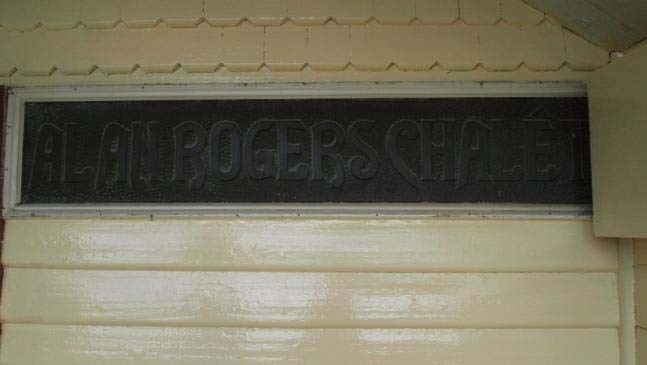 The opening panel on the Alan Rogers Chalet copper sign is fully operational. We are now thinking about the future foundations and setting them out. That is, proposing were they could go. We realise this needs agreement from all and sundry, but if it is set out on the ground then people can look on site and think about what exactly is proposed. 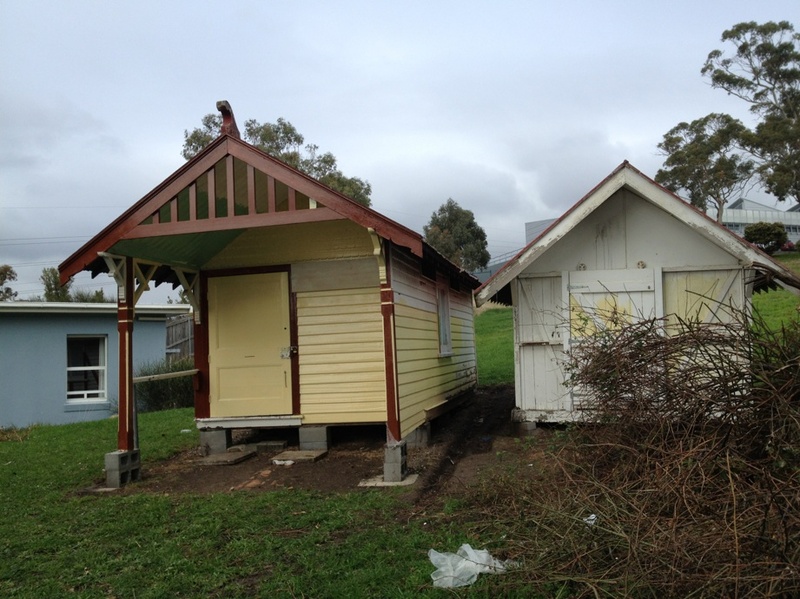 We have nearly finished undercoat on the Alan Rogers Chalet and part of the top coating. On site Committee meeting agrees with colour scheme and considers possible relocations position for the chalets. It is agreed that they should be facing NNE as per the original location and that they should be placed to maximise impact on approach from the Old Vicarage. They should be placed on concrete footings. A 34 tonne forklift that can do the moving has been offered. October 1 - DHHS approves relocation plan. continued with painting rear and side walls. 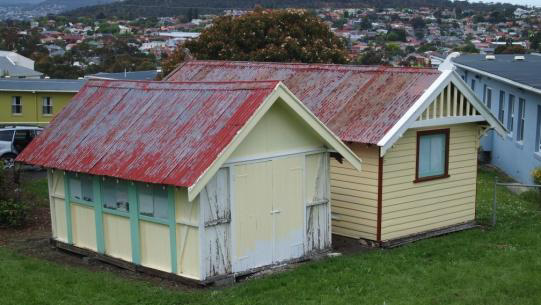 Preparation and undercoating of Rechabite Chalet. 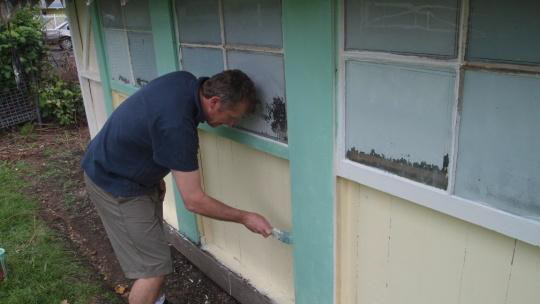 Continued with preparation and painting of the Chalet. Peter Gaggin has joined the team. 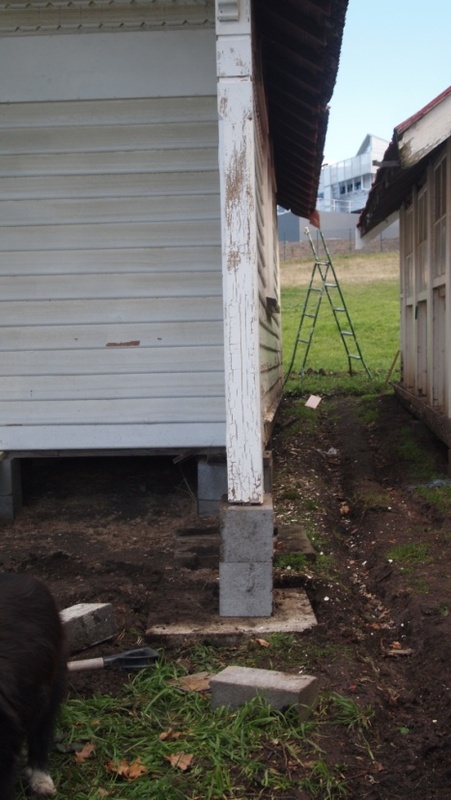 The bricks under the Alan Rogers Chalet have been identified as a drive way that extended from the end of St Johns Avenue to the car park at the Old Rectory. 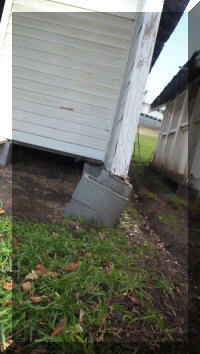 It was decided that it is best for both longevity and safety to create solid footings for the Chalets. This would consist of dug, footings of 600 mm filled with concrete posts and with stirrups fitted and supporting beams laid across. 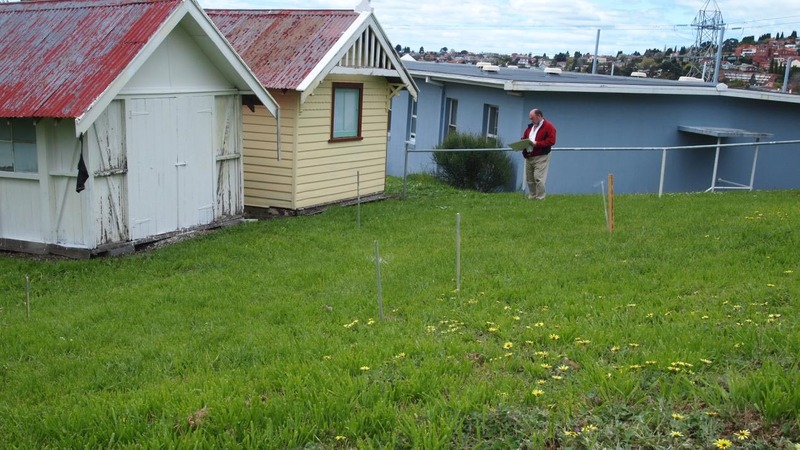 This will require written permission from the owners DH&HS, both heritage and planning permission from the Hobart City Council, soils testing and Engineers/Building Surveying certification. Submission will be made to HCC for assistance with the fees. 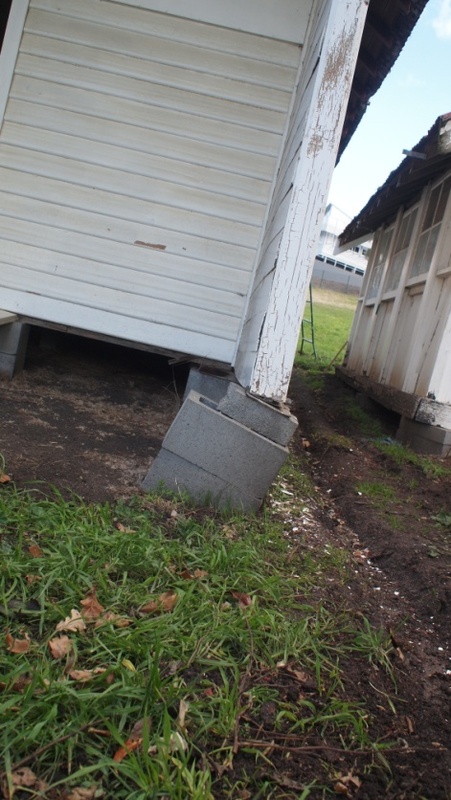 An alternative footing system is being explored which several advantages over concrete and post including being cheaper and transportable if we ever want to move the chalets in the future. 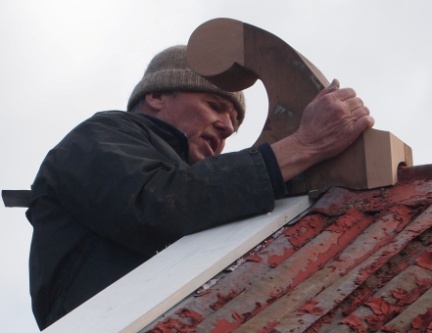 Robert is currently revising plans and working with a building surveyor to lodge the Council applications. Unfortunately we are unlikely to get the approvals in time to complete this year. 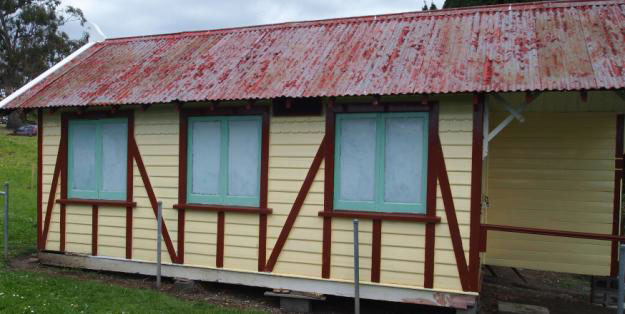 Painting of the Alan Rogers Chalet is completed and the Rechabite hut is now 99% done.